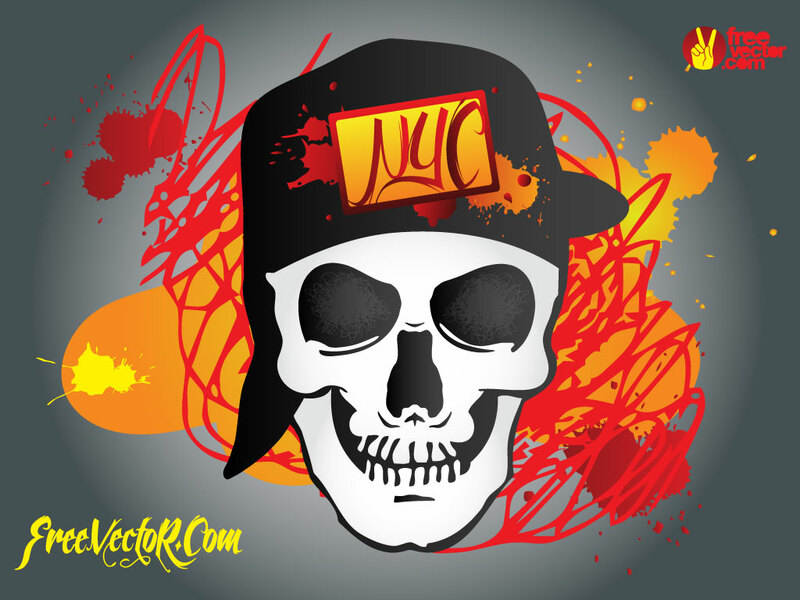 Download this cool urban skate style skull illustration for your collection. A great punk feel and cool textures make this a good foundation for your design projects. Tags: Bones, Cartoon, Cool, Evil, Punk, Skating, Skeleton, Skulls, Urban.